Many a times people type in Googl.com (instead of Google.com) and they get redirected to the correct domain address. Or when you type Gogle.com, you get automatically redirected to main Google.com website. Same is in case of Facebook.com, many people mistakenly type it as Facebok.com but they get automatically redirected to the correct Facebook.com because Facebook owns his faulty domain names too. This is not just limited to Google, Facebook and other popular websites but there are many people who register faulty domains names for driving more traffic to their websites. Van Meerdervoort, his band’s name is Harmony Glen which ends with one N, but there are many people who type it with two Harmony Glenn. So he registered that faulty domain name and redirected it to his right domain address. He also created a WordPress plugin (Domain Redirect), for redirecting faulty domain visitors to a custom page (on correct domain address) that explains how to spell his name correctly. Bulk Domain Registration is a powerful domain domain registration feature of SANGKRIT.net which allows you to register multiple domains at once. It also offers you various discounts on the basis of number of domains you have registered. How To Use Bulk Domain Registration? Using Bulk Domain Registration tool you can quickly and easily register all faulty domain names at once. 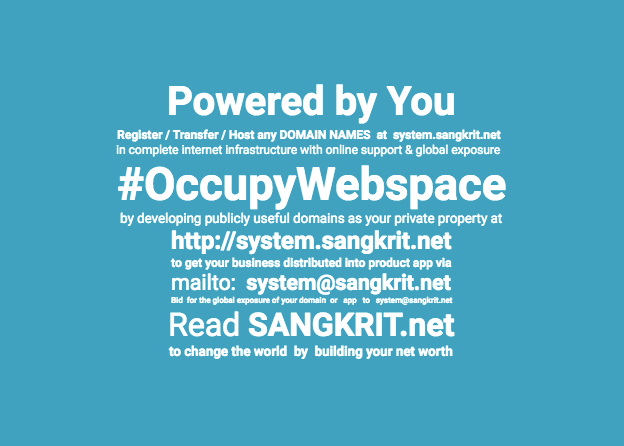 Simply visit SANGKRIT.net bulk domain registration page and type in the domain names which are very much similar to the domain name of your website. You can enter up to 500 domains, make sure each name must be on a separate line (as shown in the given screenshot). After registering domain names, its time to redirect them to your website. From My Products section, click Manage Domains. Above your list of domain names, click Forward. On the Forwarding tab, select Enable forwarding. In the Forward to field, enter the URL to which you want to forward your domain names. Select to redirect visitors using a 301 Moved Permanently or 302 Moved Temporarily HTTP response. Finally, click OK and you’re done. Previous PostHow To Find Your WordPress Hostname & Server IP Address?Next PostHow To Visually Create HTML Tables In WordPress?